Ratification of the UPC Agreement: Lithuania becomes 14th country to ratify, but what about the UK and Germany? Lithuania ratified the UPC Agreement on 24th August. This ratification arises after Estonia ratified the Agreement on 1st August. 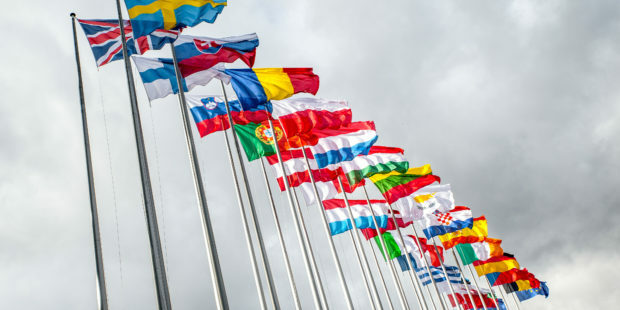 Lithuania therefore becomes the 14th country to ratify the UPC Agreement, which now only awaits the UK and Germany’s ratification to come into effect. What about the UK’s ratification? The UK is expected to progress towards ratification from September after summer recess. The Brexit talks may however in part determine when the UK will ratify the UPC Agreement. This makes it difficult to predict when the UK government will ratify the UPC Agreement. (See our section on Brexit and the UPC for more on the topic). Why has Germany’s ratification been stopped? Germany’s ratification was suspended in June after a complaint was filed before the German Constitutional Court. The Court subsequently asked the Federal President to suspend the signature of the legislation implementing the Unitary Patent Package voted on 31st March by the German Parliament . • breach of the principle of openness towards European law owing to alleged irreconcilability of the UPC with Union law. The first issue concerns the quorum required by German law for the ratification of the UPC Agreement. The complaint in fact suggests that the law ratifying the UPC Agreement if implemented would amend the German constitution. However any amendment of the German constitution must be passed by a majority of two third of MPs. If the German Constitutional Court finds that this law actually amends the constitution then the German Parliament will have to reexamine it again. The first ratification law was in fact passed with a lesser threshold. The complaint then raises the questions of the democratic deficit of the UPC and the independence of its judges. These grounds seem to refer to the recurrent criticisms made about the EU and EPO institutions, but it is hard to say more without access to the complaint. Finally, the last ground points to a breach of EU law either by the legislation allowing the ratification of the UPC Agreement or the UPC Agreement itself. This would indeed render the UPC incompatible with EU law. However, none of these grounds are self explanatory. A more detailed analysis of the complaint will thus only be possible once the complaint is available to the public. So what is the impact of this constitutional challenge on Germany’s ratification? In any case, the German publication “Juve.de” reckons that such a constitutional challenge is unlikely to be examined within less than 4 to 6 months. This complaint would thus postpone Germany’s ratification to January 2018. By a domino effect the start of operation of the UPC would then be postponed to the first quarter of 2018.